The Taken King DLC will bring some substantial changes to Destiny, the most notable of which is the overhaul of the levelling system which removes the dependency on Light Levels. It's almost like a Destiny 2 scenario, and arguably how the game should have been since launch. I think it's fair to say that many Destiny fans have abandoned the game over the last 2 or 3 months, in favour of other AAA titles such as Batman Arkham Knight and The Witcher 3. That all looks set to change once The Taken King drops. The new progression system makes the game fairer, less random and ultimately more rewarding. Important: Now we know that Light Levels are going to be removed, there's going to be a massive drop in online players until September. New players may want to take note of this. So what exactly has changed in The Taken King? The first and most significant change coming is the removal of Light Levels. Historically these were the only way to reach the maximum level in Destiny, and also a prerequisite for attempting any high level activities such as Raids - unless you like suicide runs vs high level enemies. Now come September, Light Levels are gone and we're back to the days of Level 0-20. Remember those? Forget all the memories of light and think back to classic XP progression through killing enemies, handing in bounties and completing quests. These days are coming back for good! No longer will you be required to find "Raid" level Legendary gear, with the ability to reach the highest possible Light Level. Instead, players can equip any armour piece they want and still progress through to the new maximum Level (which will now be 40). That doesn't mean you'll want to be wearing all white armour of course - the defence stats will be too dam low. However, it does mean that you're free to choose which armour you like aesthetically whilst still reaching the maximum level on your journey. That's a massive change to Destiny and certainly one which appeals to me - it's nice to know that you won't have to continuously complete high level activities such as Raids in order to claim your max light level set. 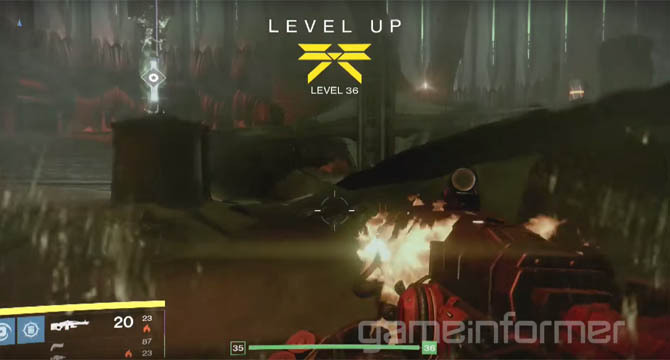 I think we all guessed that the max light level in TTK was going to be 40. Still no confirmation how this is going to work though. Judging by the information so far, long-time players will likely be reset to a base level. XP progression will thus commence once the DLC drops, giving old school and new players a chance to progress in a linear way. They'll be no luck of the draw scenarios this time, only hard work will help you push the XP higher. A shame but it was coming - although Bungie won't come out and say it, the clues are in the small print of TTK. Old Legendary gear will not progress (attack values) during year 2 and will simply be "outclassed" by newer weapons. Although we got used to Etheric Light in House of Wolves, that principle is going to be obsolete in TTK. Old gear will NOT be upgradable in the same manner to improve its attack value. Therefore, any raid gear, be it Fatebringer or Vision of Confluence, will not be as powerful as any of the new weapons in TTK. 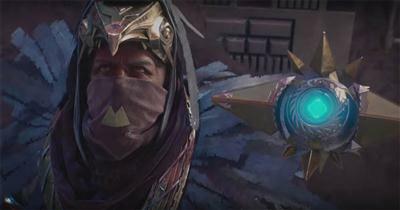 A quick piece of advice: if you're reading this before the Taken King drops, then I strongly suggest you avoid running multiple Raids to get any of the elusive weapons from the Vault of Glass or Crota's End. These will be all but worthless for the second year of Destiny. There's plenty of other news coming so check back for more Taken King information.